Just two days after Vivo launched its Vivo V15 in India, the phone is now finally available for pre-order sale in the country. The Vivo V15 can be pre-order now from Vivo’s India website including Flipkart and Amazon. The smartphone will finally be available for purchase from April 1, via various online and offline stores, including, Paytm Mall and Tata CliQ etc. 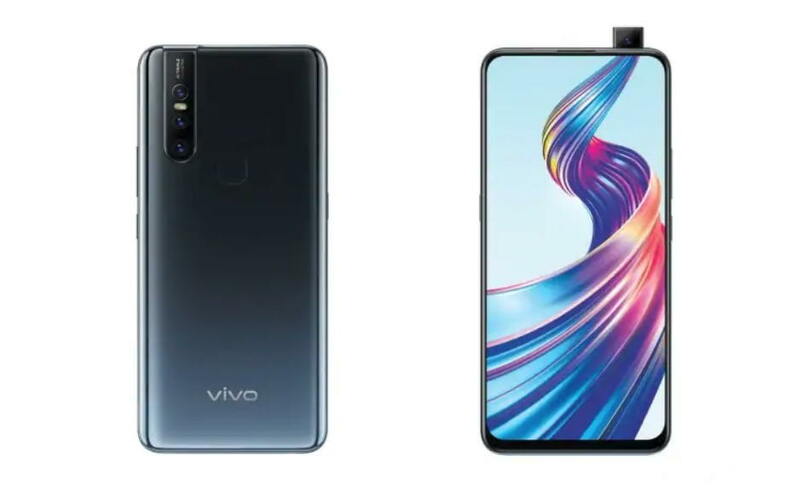 Vivo V15 with 6GB RAM and 64GGB storage is now available for preorder for Rs. 23,990 in India and the phone can be chosen from different color options including, Frozen Black, Glamour Red, and Royal Blue colors. Notably, Vivo has only made one variant of the phone available in the country with 6GB of RAM and 64GB of inbuilt storage. The Vivo V15 can be pre-order now via the Vivo India e-store, Amazon.in, and Flipkart. The phone will finally go on sale starting 1st April. Vivo is free one-time screen replacement on buying its V15 smartphone in India. Users will also get up to 18 months no-cost EMI offers on banks like HDFC, up to ₹19500 off on exchange. Extra ₹3000 off over exchange value on select models, benefits worth Rs. 10,000 from Reliance Jio (including up to 3.3TB data and the Jio Vivo Cricket Offer). Users can also avail a 5 percent cashback offer different banks, including SBI credit/debit cards as well as on SBI credit card EMI transactions. The Vivo V15 features a 6.53-inch HD display and is powered by a MediaTek Helio P70 SoC. The phone also comes with Adreno 675 GPU. Apart from 6GB of RAM and 64GB option, there is also a 6GB of RAM and 128GB variant of the phone which supports expansion using a microSD card up to 256GB. On the camera side, the Vivo V15 sports the same 32MP pop-up selfie camera as seen on the V15 Pro. On the rear, we have a triple rear camera setup, including a 12MP primary (f / 1.8) sensor + 8MP secondary sensor with (f / 2.4) and a third with a resolution of 5MP (f /2.4). The smartphone packs a 4,000 mAh battery which offers support for wireless charging. The device runs Funtouch OS 9 based on Android 9.0 Pie out of the box. The Vivo V15 features a regular rear-mounted fingerprint sensor instead of the in-display fingerprint sensor like seen on the V15 Pro.